Residential Alcohol Rehab is a vital and necessary component for most people’s recovery from the serious life-threatening disease called alcohol addiction, or alcoholism. While alcoholics and their families are often resistant to seeking help because of shame or denial, rehab, under the supervision of experienced professionals, provides many more benefits than trying to quit on your own. Is there a Christian Component? Addicts and their loved ones often ask the question, ‘do I really need rehab?’ They try to cover up the problem, downplay its severity, or think they can manage it on their own even though the facts prove they can’t. These attitudes are what trap individuals and their families in addiction. As the months and years go by, the addition gets worse, the family dynamics are more strained and complicated, and the problem explodes out of control. Find out when it is time for alcohol rehab here. The reason for doing rehab, quite simply, is because you can’t or won’t quit on your own without 24/7 supervision to protect you from yourself. Whether you are an addict or someone who loves and cares about an addict, it’s time for the denial and excuses to stop. You never know when the next drink will lead to permanent legal, relational, psychological, or even physical harm for you or an innocent family member or stranger. It’s time to stop playing Russian roulette by putting things off, and get life-saving help. Some people try to quit on their own, but rehab offers many benefits. It allows the addict to be treated by professionals who know what they’re doing and can help produce lasting results. Going to rehab brings your bio-psycho-spiritual disease out into the open, where it can be effectively understood and addressed. Rehab brings real hope and allows for a fresh new start to stop moving backwards in life and now move toward the goals you once had before alcohol sabotaged your trip. Support and encouragement will come from your family, loved ones, and the entire recovery community. For most people, the best way to recover from alcoholism is residential treatment. This offers the highest and most intensive level of care with the least distractions so the person can wholly focus on their recovery. During residential, also called inpatient, treatment the person lives, eats, sleeps, exercises, and takes part in therapy sessions at the facility. All their immediate needs are met to reduce stress, which takes a huge weight off of one’s shoulders and allows for a more focused and peaceful treatment experience. No two people are alike, nor should one person’s treatment program be just like the next. A customizable treatment program allows the patient and their family to have a say in rehab, and it ensures the client is getting the most out of rehab. Things that can vary in a treatment program are length of time (how many days), level of care (residential or outpatient), methodology (12 steps, psychodynamic, work-farm, wilderness, faith-based), and structure of counseling and therapy sessions (group, individual, or educational). A therapy type that really reaches one addict and helps them dig deeper into their recovery may not do much for another person. Likewise, some people take longer to get through the steps of recovery, while others require a shorter program. It is important to find an alcohol rehab that will address your needs and concerns, and a staff that will customize your treatment experience for you. Don’t settle for a one-size-fits-all program, because these often fail to recognize why you struggle with alcohol and what skills you need to overcome your alcohol addiction. There have been several medical breakthroughs that have propelled the addiction treatment field ahead, and some of these advances may offer help for your recovery. Medications are now widely available during alcohol treatment, which can ease the symptoms of alcohol withdrawal and help curb cravings. is a medication that inhibits the enzyme that helps the body break down alcohol, so the toxic chemical of alcohol stays in the body. If a person has disulfiram in their system, quickly after drinking alcohol they will abruptly feel hungover usually with nausea, vomiting, throbbing headache, increased heart rate, sweating, visual disturbances, and confusion. Knowing this reaction will occur helps deter them from drinking. blocks brain receptors that are activated by alcohol consumption and are part of the brain's reward system. This blockage reduces the pleasure, high, or buzz attained by drinking, so the person stops craving alcohol since no reward is eminent. Naltrexone can’t be taken until active drinking or withdrawal has subsided. is an injectable form of Naltrexone given every 4 weeks and works the same as described above. is a daily medication that reduces cravings for alcohol and is given after a person is already detoxed off of alcohol. reduces withdrawal symptoms, allowing recovering alcoholics to go days or weeks without feeling the negative effects of detox. After detox, Topamax can reduce cravings for alcohol. such as clonazepam (Klonopin), diazepam (Valium), lorazepam (Ativan), or others, are chemically very similar to alcohol and are used to detox or withdraw a person off of alcohol. They block seizures, hallucinations, anxiety, insomnia, agitation, delirium tremens (the DT’s), and other dangerous and uncomfortable withdrawal symptoms. Unfortunately, the benzodiazepines are also addicting, so are only used to safely transition a person off alcohol. In a residential setting, that is usually 3 - 15 days. While some of these new advances may offer a better recovery experience for some and more hope for others, it is important to note these are not a magic cure. These medications only address some of the physical aspects of alcohol addiction and recovery cannot be achieved through a quick fix. Don’t get lured into thinking something will come along that will quickly solve the problem of addiction, because all the different issues and dysfunctions caused by addiction take time and a lot of hard work to reverse or heal. In fact, the longer the rehab program, the better your recovery will generally be because you start to develop the psychological and spiritual skills needed to really renew your mind and transform your thinking and decisions. Each of these medications has its benefits, but they also have their problems. Some have side effects that can be uncomfortable, and some can be habit forming. If you are considering using one or more medications to help with your alcoholism recovery, speak to your doctor or treatment staff about what is right for you. It is also vital that these medications be combined with psychological and spiritual skills, counseling sessions, and support group meetings to help the person fully recover. Alcoholism never comes out of the blue. In fact, it is a person’s coping mechanism to try and ‘self-medicate’ some psychological struggle. Sometimes these struggles have a diagnosis, like depression or panic attacks, while others don’t have a psychiatric diagnosis, like low self-esteem or extreme shyness. Mental health issues are sometimes caused by excessive drinking’s toxic effect on brain circuits or from the accumulation of consequences and stress. Alcoholics use their substance as a way to self-medicate, escape, or blot out the mental discomfort they are experiencing. Certain therapies, such as Cognitive Behavioral Therapy (CBT) and Dialectical Behavioral Therapy (CBT) help the alcoholic learn how to transform distorted thinking into realistic thinking which is usually more positive. Motivational Interviewing is a therapy to help decision-making skills. Emotion Focus Therapy teaches a person to manage their emotions better so their emotions don’t manage them. Christian therapy draws on God’s power, helps a person allow the truth (reality) to set them free, and allows clearer lenses and hope to be restored while teaching healthy life and relation management skills. These types of therapy allow the recovering alcoholic to address their harmful thought patterns and regulate their emotions better. If your stress, emotions, or stinky thinking is pushing you to drink, it is important that you are assessed to identify your specific psychological problems. 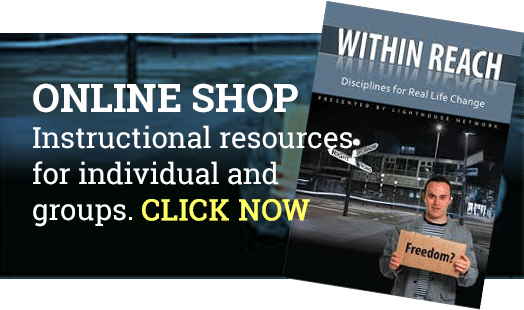 Research shows being treated for both your psychological and addiction conditions at the same time dramatically increases your probability of a successful and sustained recovery. Approximately 7.9 million adults in the United States had diagnosable co-occurring psychiatric disorders with addiction in 2014 (Substance Abuse and Mental Health Services Administration). Because mental illness and addictions like alcoholism occur together so frequently, we recommend everyone who enters alcohol rehab be assessed for mental health issues. The first step in treating co-occurring disorders is to diagnose them, which can be done by a trained psychologist or psychiatrist. Then, both conditions must be addressed together for the best results. Medication is often helpful for the psychological component and this, coupled with behavioral and psychospiritual psychotherapy, will help the person learn to manage all their disorders. Again, it is vital to address the disorders simultaneously and with the specific therapies to help maximize the recovery process. Too many times alcoholics only get treatment for the alcoholism, but not for the underlying psychological issue. When they leave, they will quickly relapse because the root issue wasn’t identified and healed, and alcohol was used to numb the pain again. Many people are starting to realize the importance and power of Christian rehab. Faith-based recovery is the only way to achieve true and lasting transformation. As the daily struggles with addiction and your life management are worked on, your inner core is exposed to allow God’s forgiveness, healing, and re-empowering of a new you to occur. In Christian rehab, the addict’s eyes are opened to the truth and sees himself or herself as an individual loved and cared for by God. They see the forgiveness that God has offered through their Savior, Jesus Christ. They see the instructions God teaches about how to live and act, and they experience God’s power helping them achieve His will for their lives so they can experience purpose, meaning, grace, peace, joy, and freedom in this world. If you are looking for a Christian-based alcohol rehab, be sure to find out what that means to the rehab facility. Do they hold daily Bible studies, as well as make use of prayer and opportunities for Christian fellowship? Do they follow Biblical principles and apply them to transformed living in the individual and group therapy sessions? 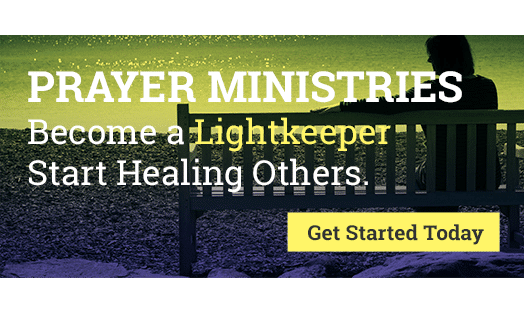 Do they attend Christian recovery groups instead of regular AA groups? Some programs call themselves Christian but don’t actually make use of the power of God’s word to help heal their heart and mind. Residential alcohol rehab is not the end of a person’s alcoholism. 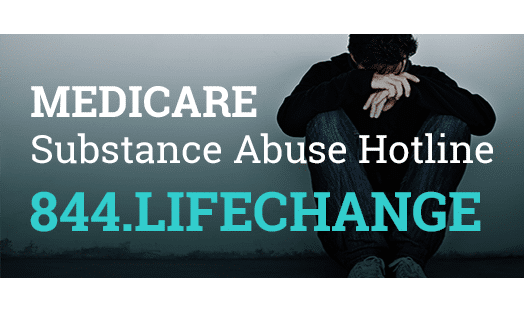 Life-long abstinence is advised by many programs following an alcohol dependency in order to help the person avoid relapse into their addictive patterns, dysfunctions, and mindset. There are various things a recovering alcoholic can do to stay sober. Support groups like Alcoholics Anonymous or Christian support groups called Celebrate Recovery are excellent resources for those in need of long-term encouragement in their sobriety. Most support group meetings are free, depending on the group and their services, and groups generally meet weekly, or even a few times a week for extra support. A customized recovery plan will be one of the best tools for relapse. Your rehab center should spend a great deal of time preparing you for your return back into the real world. A good program will teach recovering addicts how to manage stress, and how to stay sober, but also help them develop life skills to keep maturing and moving forward in life. A customized treatment plan will help identify any specific needs you or your loved one might have (individual or marriage/family counseling, job placement, education, parenting classes), and put steps in place to address those long-term needs. Finally, relapse does happen, even though we’d all like to avoid it. Relapsing doesn’t mean the person will never be able to achieve sustained recovery or you have to go all the way back to the beginning. It just means you made a mistake. Confess to God and to others and make a plan to get back on track. Transformation doesn’t happen overnight. Success comes from many small victories, but occasional steps back can occur. You determine how far back you slide by being honest and taking responsibility for your recovery. It is important in the case of relapse to not get frustrated, but to use the lessons learned in prior rehab – and yes, even during relapse – to assist in recovery the next time. It is helpful to have a fallback plan in case relapse or other problems arise. You will devote so much time and energy into recovering from alcoholism that you will want to know what to expect if things don’t go as planned. Usually a fallback plan will involve increasing the intensity of your supports until life is stable and could be entering rehab again, or going to see a counselor more frequently. Your rehab center can help you establish various fallback plans. Is there a Test to Diagnose Alcoholism? How Does Alcoholism Impact Your Marriage? How does the Bible Define Alcohol Addiction? When is it Time for Alcohol Rehab? What Would Jesus Say to Someone Struggling with Alcoholism? Can Medications or a Pill Help Alcohol Addiction? Are the 12 Steps Enough for Alcohol Addiction? What are the Risks of Not Treating Alcohol Addiction?